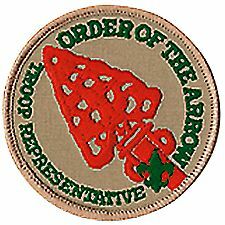 Description: An Order of the Arrow Troop Representative is a youth liaison serving between the local OA lodge or chapter and his troop. In his troop, he serves as a communication and programmatic link to the Arrowman and adult leaders and Scouts who are not presently members of the Order. He does this in a fashion that strengthens the mission of the lodge and purpose of the Order. By setting a good example, he enhances the image of the Order as a service arm to his troop. By accepting the position of Order of the Arrow Troop Representative, you agree to provide service and leadership to your troop. The responsibility should be fun and rewarding. This job description outlines some of the things you are expected to do while serving in this leadership role. Keep other informed of all Lodge Level and Chapter level OA events. Octoraro Lodge 22 web site.